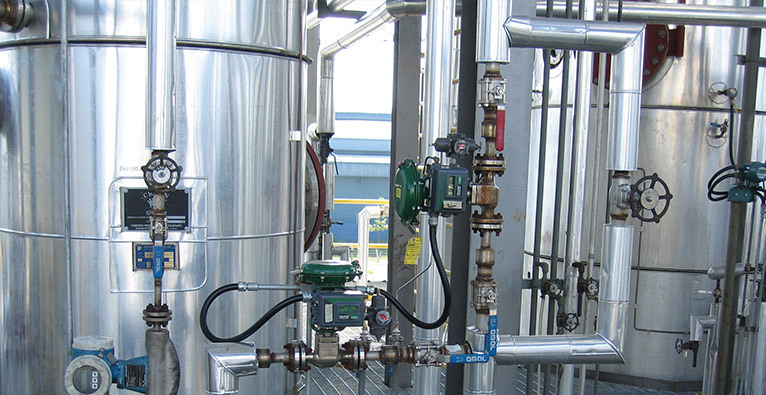 The Crown Fat Splitting Plant utilizes the classic Colgate-Emery process for nearly complete (>98%) hydrolysis of neutral oil feed. The fat splitting column operates at 250°C to 260°C and at pressures up to 50 barg. The high temperature and counter-current flow allow for a high degree of hydrolysis without catalysts. The residual energy from the splitter discharge streams is used to flash moisture from those streams, which reduces energy consumption in subsequent processing.